The #Apple #iPhone 6 is a phone released in 2014 that uses an impressive hardware specs. Most of the time it will be able to handle any app available the App Store smoothly. In fact, it’s very rare that apps will have a hard time running on this phone. There are however instances when certain apps can cause problems on the device. One such issue which we will tackle today is the iPhone 6 crashes when using Skype app which one of our readers is experiencing. Problem: Hey guys I am using an iphone 6. Two weeks back when I was on a skype call the phone suddenly turned off and restarted. After a day or two the phone went into a restart loop. When I checked the diagnostics, I saw many panic errors. I restored my phone using itunes (the latest version). The phone was working fine for 2 days, until I reinstalled skype. The phone once again went into a restart loop. I again restored my phone and did not restore the backup and performed the procedure for setting up a new iphone. Yesterday I faced the same issue for which i downgraded the ios to the version 10.1.1 (14B72). Once the ios was downgraded I again faced the panic errors, with multiple restarts. Please help. Solution: If Skype causes problems in your phone then the troubleshooting steps listed below are what you need to do. Make sure that your phone is running no the latest software version. 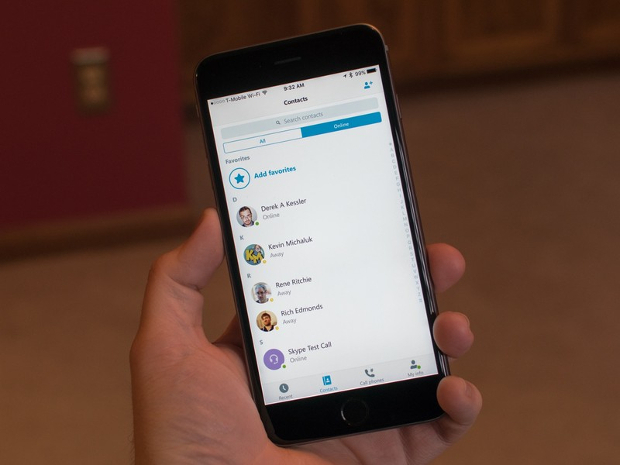 Make sure download the latest version of Skype for iPhone for your phone. Make sure that your phone is not jailbroken. Since you restored your phone and set it up as a new device without experiencing the problem except when the Skype app was installed again then the problem is most likely caused by a bug in the app itself. I recommend that you contact Microsoft regarding this matter so that they will be able to come up with an update to the app that fixes this problem.